We have locations in Hudson WI and Somerset WI for all of your snowmobile storage needs! Where can I store my snowmobiles? Once the snow is gone are you in need of a place to store your snowmobiles? 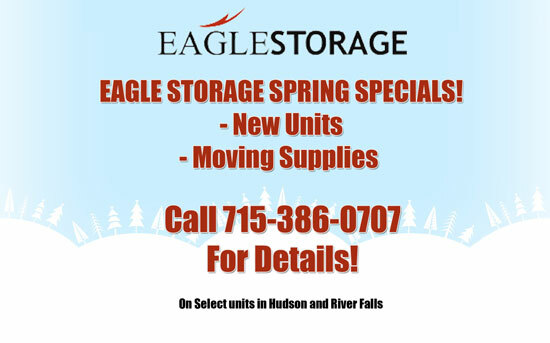 Call the local storage guys at Eagle Storage with locations in Hudson and Somerset. Late Spring – Early Summer: Tired of tripping over the sled in the garage? Get a unit at Eagle Storage we will make your tripping days a thing of the past. One was ok: When you first purchased your sled it was before the family, now with more than one snowmobile where can I store them call us today, we can help.